Immediately after we do yoga or go on a run, we feel more energized afterwards. And over time, with consistent practice, we may also literally see our bodies become more toned and fit. Noticing such hard evidence of our hard work is extremely rewarding, and can then motivate us to keep staying in shape. But when it comes to putting more effort into buying better, and taking baby steps towards "making a difference," it's hard to really understand the exact impact we have as conscious consumers, which can then make it all too easy for us to slip back into the mindset of our choices being too petty to count for anything. When I chatted with Cullen Schwarz, the Co-Founder of DoneGood, though, I got the reassurance I needed to know that my hard work has made and will continue to make a difference. What's the most shocking finding you've heard as it relates to Black Friday or Cyber weekend? "Last year, Americans spent $1 trillion during the holidays, and 60% of all online sales went to just 10 giant retailers - none of them have a social mission. So, if we can even have a tiny fraction of this year's purchases made supporting brands dedicated to doing good for the world, that positive impact would be enormous!" 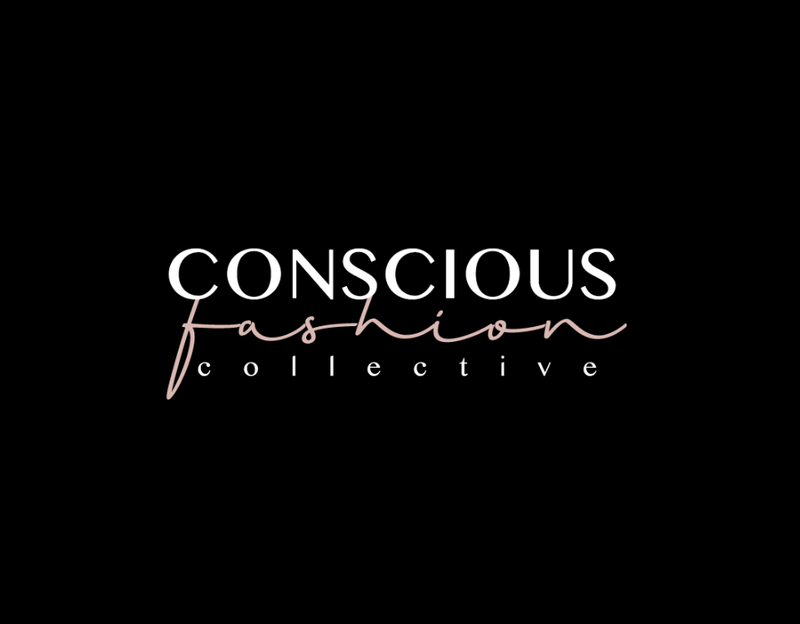 What hard evidence have you seen personally in terms of how conscious consumers have made an impact in reshaping a particular brands' practices, or in helping a small purpose-driven brand grow its positive impact? "From 2006, when B Lab - the certifier of B Corporations - first launched until 2014, we grew from having 0 to 1000 certified B Corporations. And in 2016, that increased to 2000+. The number of people starting these [mission-driven] companies is exploding. Walmart has an organic line now. It responded to consumer demand. The more consumers demand things, the more companies will supply them. It’s a really exciting time. Just like with an election, one vote seems really small. But in aggregate, all of those votes matter. Regardless, no matter what the bigger impact is, it’s also good for me to feel more aligned as an individual. How has conscious consumerism impacted big-box stores already with a lot of power and monopoly in the game? "There’s been rumblings that Amazon is changing and trying to do better. It doesn't really have a social mission or a robust CSR department. I hope that will change. The team hired some impressive folks recently to try to change that, although [I’m sure they may face corporate limitations]. Again, it’s a supply and demand economy. Every time we demand better business practices, we’re exercising our consumer power more and more. After all, 70% of our economy is driven by consumer spending. We still have more total control, and businesses will respond to that." How can independent, purpose-driven companies and creatives compete with the mainstream noise coming from brands with lots of marketing resources and connections? "At DoneGood, we’ve recognized how difficult it is to compete with big brands. Someone we were working with said [his/her] company was being killed by SEO - the big name companies always show up first due to high volumes of traffic. That's why with our DoneGood Google Chrome Extension, we show the better alternatives to these big name companies, [hoping to help smaller companies level up in the game]. But the reality is, it’s really hard to get people to change their behaviors. So instead of getting people to change, we’re trying to go where people already are in their existing streams of behavior, showing them our DoneGood approved brands [where they already browse online]. Ask: Where are the folks you’re looking connect with? Rather than creating a new stream [and asking people to drastically change their behaviors], how can you go hang out where [they already are]? Make things as easy as possible for people, and don't ask for too much. We're all strapped for time. Sometimes, we talk about wishing people would care more. I think people care quite a bit. What we have to ask is how can we [make doing good easier and simpler] to help people turn their care into action?" Today, eco-conscious shopping may not necessarily be eco-friendly if done en masse, because most eco-oriented companies still have some level of environmental impact - just less so than conventional brands do. What is your top recommendation for the consumer who really wants to really minimize his/her environmental impact with their shopping choices? "There’s always environmental footprint in making new things. For the longest time, I didn't want to be a part of the game at all. Because you never know what’s in the [complex] supply chains of most companies - a lot of them don't even know themselves. But as I met more of these DoneGood partner companies, [I realized how much our support for purpose-driven companies matters]. We’ve got a company called Krochet Kids, started by Co-Founders who taught themselves how to crochet. They went to do some service work at a refugee camp in Uganda and started teaching people there how to crochet. Then, they turned that into business; now have 130 people there earning 10x the average wages for those regions for themselves; and have also been investing in those communities for long term development. If we want to create a more just economy, then we have to support companies that are doing things differently. For me, it’s no longer trying to not buy anything. It’s trying to buy consciously and thoughtfully, and buying meaningful things - gifts that have really positive stories behind them. It’s a mix of buying second hand, buying less, patching up old things, and also supporting these companies that I want to see succeed. I don’t want to be part of the conveyer belt, just doing what the media tells me [to buy this, buy that], continuing the churn. I want to be mindful of my impacts and fully aware of what my choices mean. [When you buy less, buy better], you’re buying things you actually need; you’re proving business can be a force of good in the world; and you'd also keep these meaningful products that you care deeply for around for longer." Check out ShopForGoodSunday.com, a new initiative to help us shop better and more meaningfully at a time when huge discounts from conventional stores may lure us into making lots of otherwise impulsive purchase decisions. And, download the DoneGood Google Chrome extension that can help you effortlessly shop better. Words of wisdom shared by Cullen Schwarz, Co-Founder of DoneGood; heart to heart conducted by Kaméa Chayne, eco-creative and Duke-certified health coach @kameachayne.